Many file sharers want the highest quality copy of a film they can find, and until recently, those would most often come from ripping a 4K Ultra HD Blu-ray disc. Links to these files are clearly labeled as such, but a few weeks ago a 2160P copy of Aquaman leaked onto the internet claiming it instead originated from an online streaming service. It was soon followed by uploads of 2160P copies of 24 James Bond films, which are currently only available from Apple, leading many to wonder if someone has finally found a way around iTunes’ 4K copy protection and DRM. Sixteen days ago a Reddit post announced the availability of Aquaman.2018.2160p.WEB-DL.DDP5.1.HDR.HEVC-MOMA; yet another copy of the film among several leaks to date. What set this version apart, however, was the fact that the “216oP” and “WEB-DL” parts of the filename indicate that the file didn’t originate from a Blu-ray disc, but the internet. It’s easy to shrug off as simply being a mistake or a straight-up lie from the people responsible for the leak, but release groups, who are always in competition with each other, aren’t known for making false claims like this. As TorrentFreak pointed out in a story about the release at the beginning of March; the file also predates a 4K copy of Aquaman that’s currently available through Vudu and the 4K Ultra HD Blu-ray which isn’t being released until March 26. At the time, a 4K copy of Aquaman was only available on iTunes. Apple did not immediately respond to Gizmodo’s request for comment on this story and we will update this post when we receive a reply. Speculation that someone had finally found a way to circumvent iTunes’ copy protections increased when all 24 films from the iTunes-exclusive The James Bond Collection started appearing on file-sharing sites too, as well as 216oP WEB-DL copies of Spider-Man: Into the Spider-Verse and Bumblebee. Some suspect that these movies are simply being leaked by someone working in Apple’s iTunes division before DRM and encryption are applied to the files, but that assumes that piracy-paranoid film studios are handing over copies of these films completely DRM-free, which seems unlikely. Others suspect that someone has found a way to decrypt files pulled directly from Apple’s iTunes content servers, or that they’re using a compromised 4th generation Apple TV 4K with custom firmware to retrieve these files, given it’s the only hardware in Apple’s lineup that can stream the company’s 4K content. 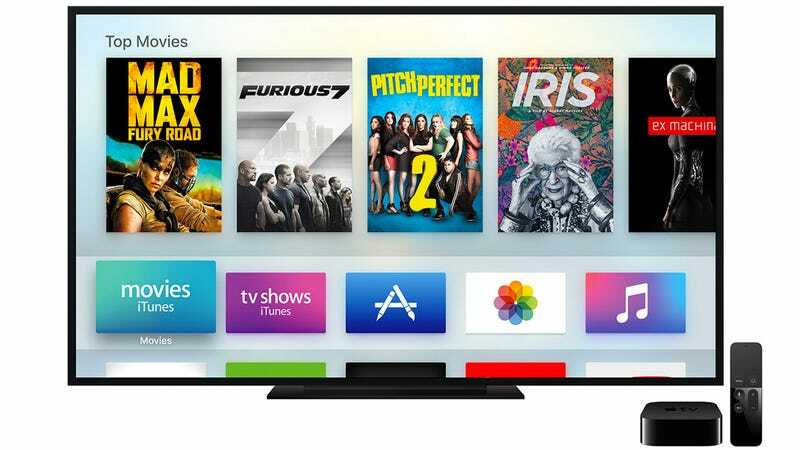 Apple is expected to reveal its Netflix-like streaming subscription service early next week, and it’s safe to assume that security was an important discussion topic as the company negotiated with film studios and other content creators. If a way around iTunes’ current encryption methods has been discovered, it couldn’t have come at a worse time for Apple.